Title: You Know (Original Mix) Artist: J Gabriel ( @jgabriel ) Label: Eyedyllic Music ( @eyedyllic ) CAT. 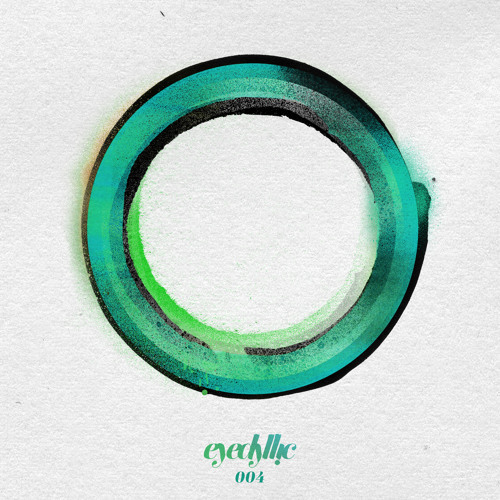 : EYE004 Release Date: March-8-2018 (Beatport Exclusive) Eyedyllic Music is starting it’s 2019 release plan off with a serious bang; presenting a uniquely talented Brooklyn-based artist, releasing his debut EP under the moniker, J Gabriel. The You Know/What They Say EP boasts two incredible J Gabriel originals, and also features stunning remixes from deep house legends, Vincenzo and Nick Holder. With the lead title cut, You Know, J Gabriel masterfully implements his minimalistic approach toward house music, painting an introspective and imaginative picture that inspires and moves. The magic is in the details, and on this one, it’s all about the catchy bass-line and well-programmed chords, which create an inspirational vibe when paired with carefully selected spoken-word samples, embedded in classic deep house roots. On the remix tip, Vincenzo steps up first; making use of You Know’s strongest elements, by utilizing the original bass-line and creating what he himself calls an “immersive” vibe. Deep, driving, melodic and perfectly arranged for maximum dancefloor effect, is this wonderful remix from Vincenzo. Toronto-based house connoisseur Nick Holder then delves deep into his repertoire on his remix, turning in a lovely rendition of You Know; reminiscent of NYC-style underground house music, by donning the cap of his well-revered Trackheadz moniker. The EP comes to a close with a perfect B-side, in What They Say. The vibes are thick, as J Gabriel shows his love of dubby atmospheric dancefloor cuts with this one, which should be well-suited for more underground and discerning DJs and dancefloors. dat Bass, tho! Heard Jus Ed drop this last weekend at Good Room in Brooklyn!